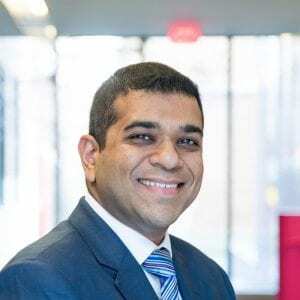 In our latest installment of the MetroMBA “5 Questions” series, we speak with Imran Kanga, Director of Recruitment & Admissions of the full-time MBA program at the Toronto Rotman School of Management. Kanga discusses what students should know before applying and the culture of the program. What type of MBA student flourishes at Rotman? Imran Kanga, Director of Recruitment & Admissions of the full-time MBA program. What should prospective students know about the Rotman MBA program before they apply/start? “The Rotman MBA program is a big commitment, both in terms of time and money. I would encourage prospective students, before they apply or start the program, to thoroughly research the program, the university, the city, and the career opportunities that potentially await them. It is important for them to speak to faculty, alumni, our career coaches, current students, and also the admissions team to understand what the requirements are and what they can expect from the program. 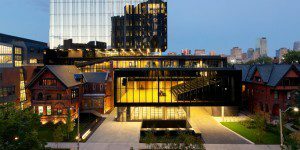 What makes Rotman stand out amidst other Canadian MBA programs? Being part of Canada’s largest and top-ranked University, Rotman MBA students enjoy the benefits of not only all the resources that the business school offers but also the University of Toronto as a whole. This includes being part of an extended global alumni network and a strong brand that is globally recognized. Our location in the heart of the largest city in Canada gives our students unfettered access to the largest business network in the country. How would you describe the culture of Toronto Rotman? “The culture at Rotman is very much student success driven. Faculty, staff, alumni, and various other stakeholders work closely with students throughout their MBA journey to ensure that they are set up for success both during and after the MBA program. At Rotman, we are also extremely committed to diversity and inclusion. Our students are extremely diverse, coming from all over the world and have different education and work backgrounds, which fosters a culture of knowledge sharing, support, and collaboration. Where is your favorite place to visit in Toronto? Why?